A good deck designer knows how to make the most of your outdoor living space. Our deck experts at Westfall Exteriors understand that a new patio or deck not only captures a view but also expands your home and adds retail value. We create a good deck plan design that can turn your yard into a sanctuary. Our in-house deck contractors know patio and deck design like the back of their hands. They understand the many components of designing a deck and work with you to come up with the best design for your yard. Once you are happy with the deck design, we install it for you. deck position and location – observing sun, shade, and other weather patterns. 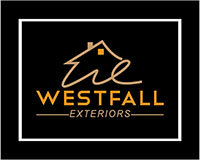 Call Westfall Exteriors today to meet with our deck designers. Complete the form on this page to receive a free, no-obligation, on-site estimate at your convenience.